Piers Hale, an historian of science at the University of Oklahoma, taught over the summer a month-long Study Abroad course in Ecuador and the Galapagos Islands: HSCI 4970/5970 Charles Darwin and Galapagos: Solving the “mystery of mysteries.” Undergraduate students took both a zoology course in evolutionary ecology and a course on the history of evolutionary thought. Plus, exploring the places and following in the footsteps… not a bad way to get some credits! Piers hopes this can become a regularly offered course. He has been posting pictures on his Facebook page, so I share here some Darwin-specific shots with his permission. This entry was posted in Beagle, C.R. 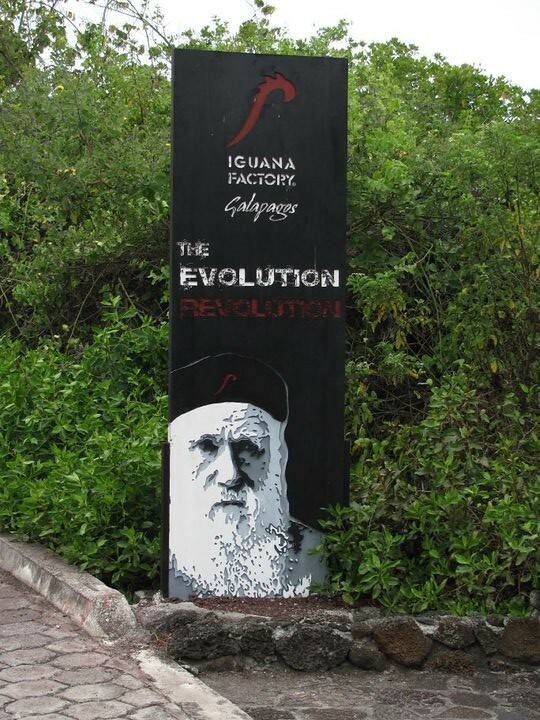 Darwin, education, evolution, galapagos, history of science, photography, travel, Uncategorized by darwinsbulldog. Bookmark the permalink. I certainly do like the first photo Michael! This is only the second Wallace plaque I know about in the whole of the Americas, apart from one which the Wallace Memorial Fund donated to INPA in Manaus, Brazil.